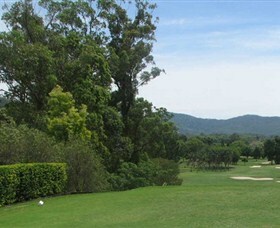 This Northern Rivers country golf course is arguably one of the finest in Australia. Close to Mount Warning National Park, the towering mountain peak is ever-present as you traverse the spectacular layout. The natural beauty and serenity of the course has to be experienced to be believed and no keen golfer should miss the opportunity to play here. Murwillumbah Golf Club challenges you to play this 18 hole championship golf course and is considered a challenge by even the advanced player. Murwillumbah Golf Club provides two dining experiences when choosing to eat out. The club has both Chinese and Australian cuisine or you can make a takeaway. This is also a great venue for weddings and celebrations. There is also regular entertainment events. Australian Tavern in Murwillumbah is a popular Tweed Coast venue with a range of affordable Aussie food, icy cold beverages and regular live music entertainment. The Ozzie, as we�ve come to be known, is run by locals for locals. 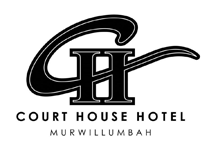 At the Courthouse Hotel, the friendly team can cater to all your needs. Whether you need a comfortable and affordable place to rest your head, or a quality meal, you can find it at this Tweed Coast hotel and tavern. Give the friendly team a call today to find out more about their accommodation options. Murwillumbah Hotel offers country hospitality. Enjoy the tastes of Japan with our authentic sushi bar in Murwillumbah. Sushi Mur-bah offers a wide range of delicious dishes, all freshly made in our restaurant. Treat your kids to a fun and healthy lunch at our sushi train. Our inviting atmosphere caters for everyone, from young couples to families looking for an affordable lunch out. Order something from our menu or take a dish from the sushi trainthere is something to satisfy everyone.Taste Japan right here in the heart of Murwillumbah. Our Tweed Coast sushi train will transport you to the dining atmosphere of an authentic Japanese sushi bar. Whether you want a snack, dinner or dessert we have it all. For the best sushi in town visit Sushi Mur-Bah on the Tweed Coast. As one of the best Indian restaurants on the Tweed Coast, Cumin Kitchen is perfect for the whole family. On our menu youll find all your favourite Indian dishes, including butter chicken, lamb korma and much more. Everyone will love our Tweed Coast restaurant with kids meals, lunch specials and take away options available. We pack a punch with flavour, adding a delicious combination of aromatic spices and fresh ingredients to create our meals.See what the fuss is about and visit Cumin Kitchen today! Riverside Pizza & Thai Cafe is a popular restaurant in Murwillumbah that offers a range of budget friendly meal options suitable for the whole family. Open from 5pm Tuesday to Sunday, we are known for our mouth-watering pizzas and friendly customer service. At Riverside Pizza & Thai Cafe, you can always expect service with a smile.Book a table at our Murwillumbah restaurant today. South of the Border Mexican Restaurant is your family friendly restaurant in Murwillumbah. Our Tweed Coast restaurant caters for all ages and occasionswhether youre dining for a birthday, anniversary or just because, youre bound to find something on our menu to enjoy. South of the Border Mexican Restaurant in Murwillumbah is popular with both locals and visitors for its fantastic range of traditional and contemporary Mexican cuisine. Visit us today for a delicious Mexican feast that the whole family will enjoy! When you have a craving for delicious Indian food cooked fresh, visit Coriander Indian Restaurant in Murwillumbah. Using authentic ingredients and spices, our chefs have a range of signature dishes that are sure to impress. Whether you want to dine in, order takeaway or organise delicious food for your next event, Coriander Indian Restaurant is the perfect place. Call our popular Murwillumbah restaurant today and book a table. Links Pizzas in Murwillumbah is renowned for their mouth watering pizzas. Their pizzas are a taste sensation, with an extensive selection of flavour combinations for vegetarians and meat lovers alike. Ju Jus is quickly gaining a reputation as one of the best restaurants in Murwillumbah. Locals and tourists flock to Ju Jus to get a taste of their ever-changing locally sourced menu, delicious coffee and friendly service. Our Murwillumbah restaurant serves Mediterranean-style food, and we always use the freshest ingredients to ensure only meals of the highest quality reach your plate. What are you waiting for? Stop by Ju Jus today! Visit the Dragon Café in Murwillumbah to enjoy freshly baked goodies and delicious coffees at affordable prices. We cater to appetites big and small and our establishment is comfortable and cozy. A family friendly cafe that focuses on great service, good quality and affordability for the average Australian family. We are passionate about coffee and have a house blend as well as single origin coffees to choose from. If youre looking for a great, quirky little café that offers amazing coffee and décor thats just left of centre, you need to try Re Café Nate. Enjoy a delicious meal in a spectacular, serene setting at the Rainforest Café in Mount Warning. Our menu features options for the whole family to enjoy and our staff are friendly and attentive. All dishes are delicious and made with a home-style touch that has customers coming back again and again. Even if youre tired and stressed, the tranquil atmosphere here is sure to calm the nerves and soothe the soul. Enjoy a delicious bite to eat in the unique setting of the Birdwing Cafe & Curios in Main Arm. We brew great coffee and offer a range of dining options for appetites big and small. Gifts can also be purchased at our location.